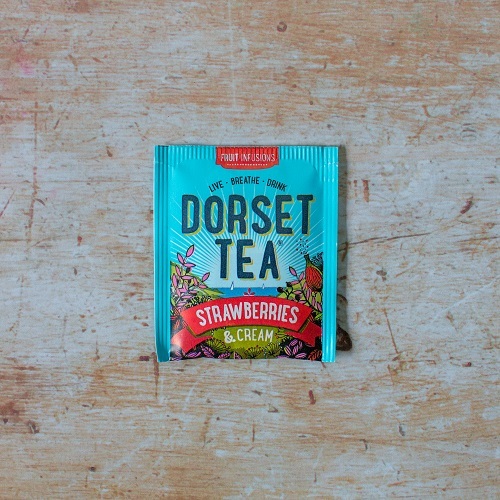 Deliciously indulgent strawberry and cream flavours, as tasty as Dorset's scrummy strawberry cream teas. Pack contains 20 tea sachets, total weight 40gms. Apple, Hibiscus, Rose Hip, Strawberry Flavour 9%, Cream Flavour 3%, Strawberry 2%. Strawberries and cream!!! I don't like any fruit or herbal teas but I was tempted by the sound of this so I tried a sample that came in my Dorset Tea Caddy. It smells wonderful and for fruit tea it really isn't bad. I can drink up to 7 cups of tea a day so I think I might replace one with this! 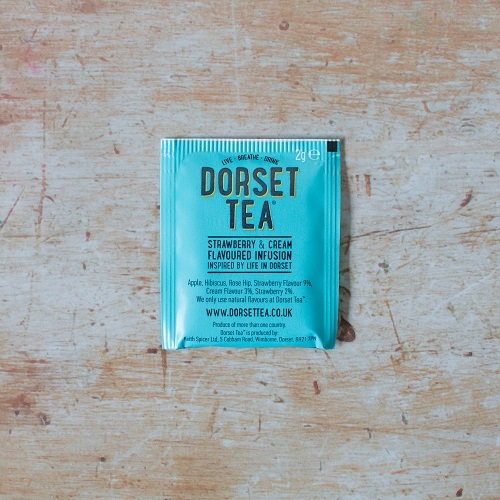 Love Dorset Golden Tea too! !